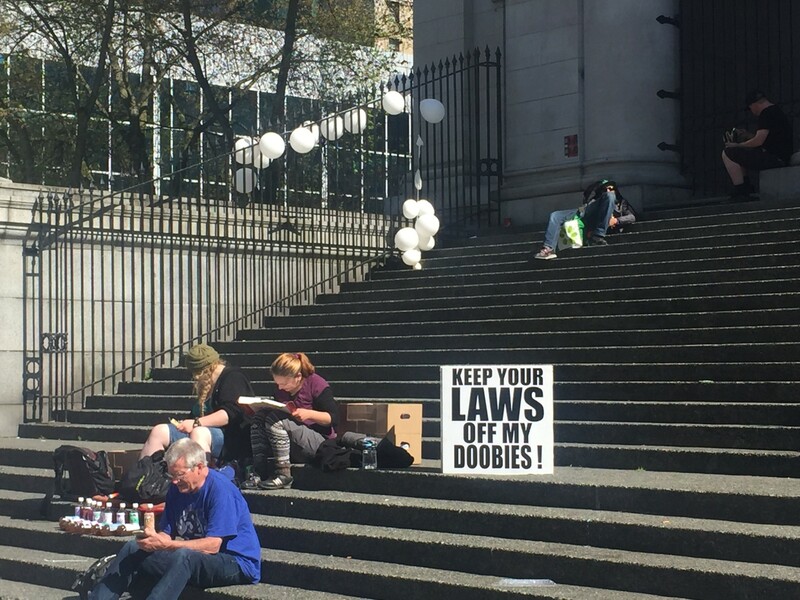 Vancouver’s 4/20 event may have moved to Sunset Beach, but that didn’t stop a few rogue protestors from setting up outside of the traditional Vancouver Art Gallery venue. 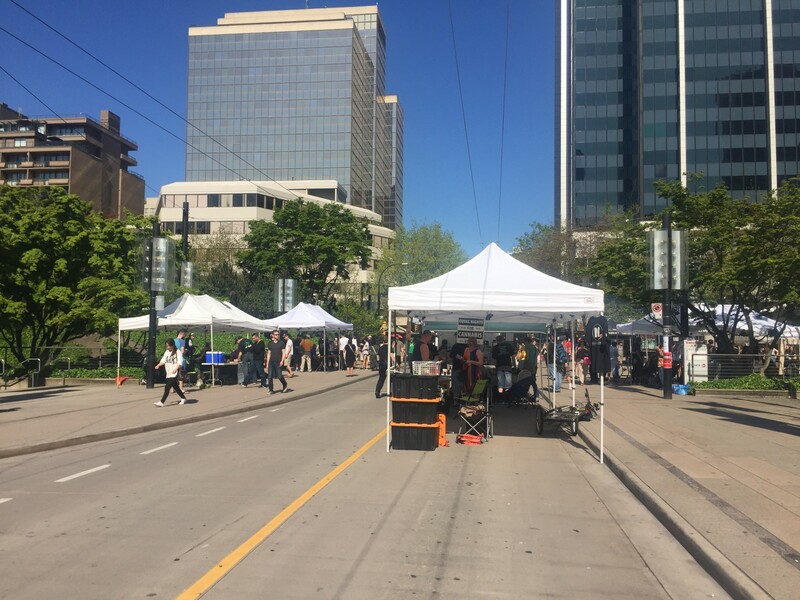 The south side of the gallery between Howe and Hornby Streets has been closed off to allow vendor booths and a stage to occupy that portion of Robson. 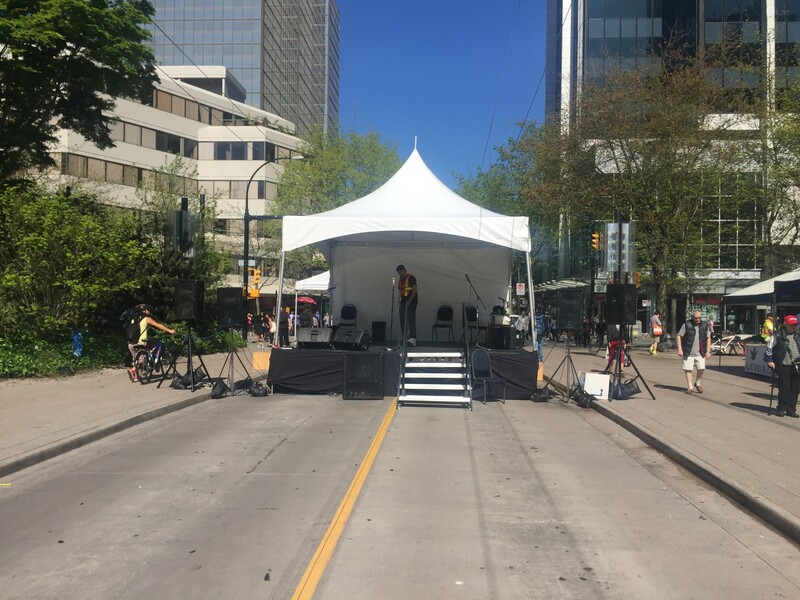 Unlike the main event at Sunset Beach that’s expected to draw more than 25,000 people over the course of the day, this one is more modest in size. 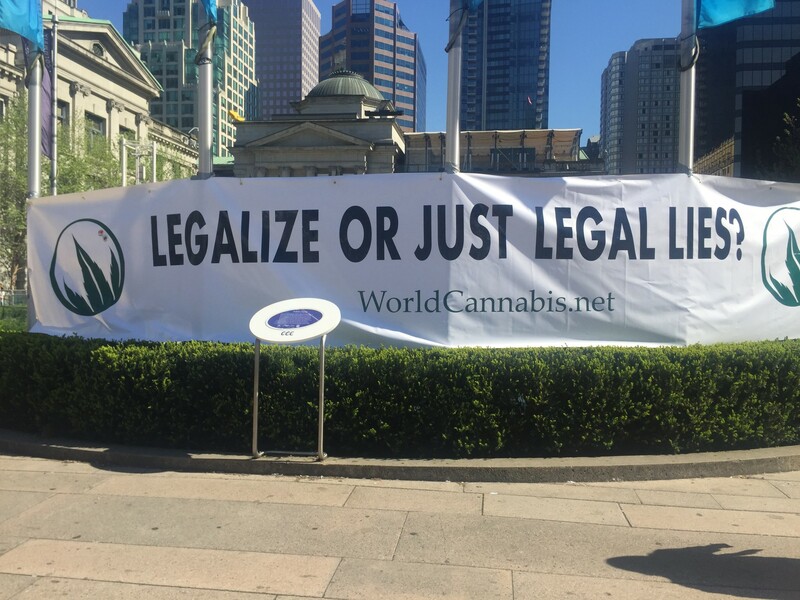 Robert Moore with WorldCannabis.net tells Vancity Buzz they wanted to be more central than Sunset Beach to spread the word of marijuana legalization. 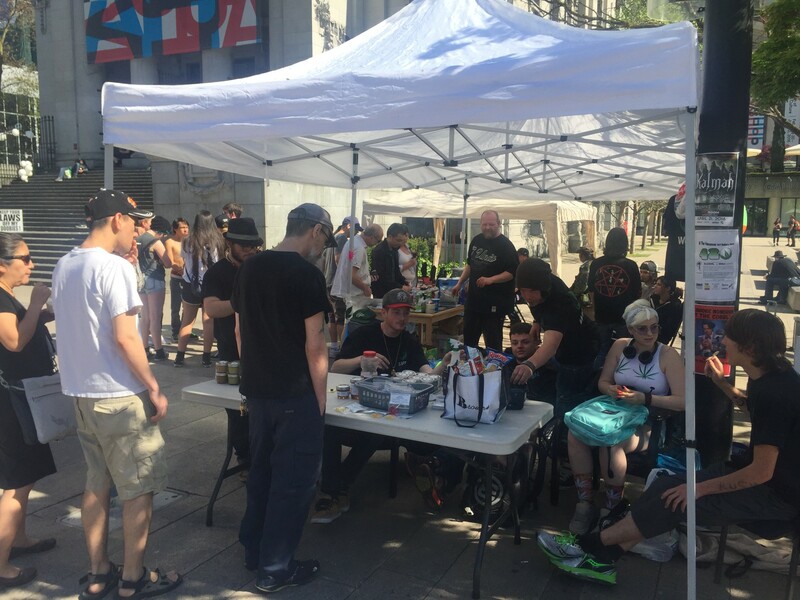 A small police contingent is on site to ensure the event remains peaceful, and the booths offer everything from jewelry, to pipes, to lollipops laced with THC. 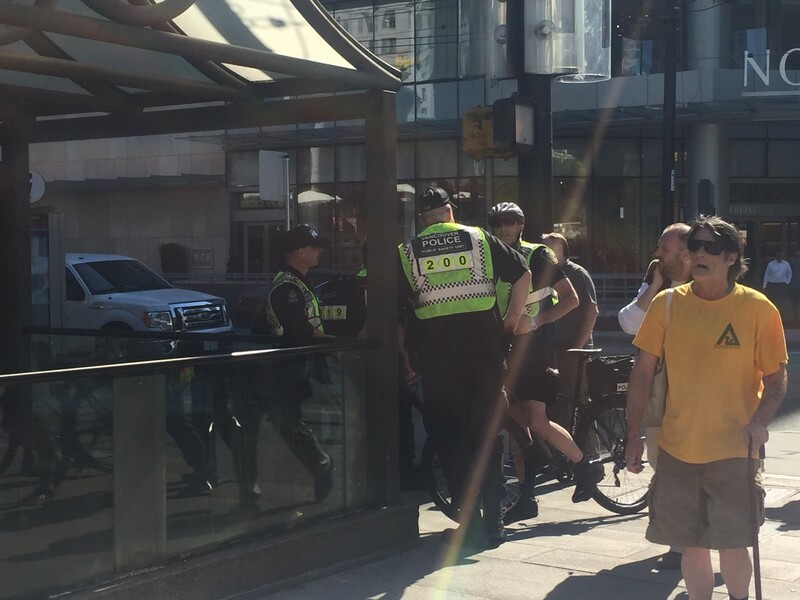 Ultimately, Moore says the Sunset Beach crowd already support ending marijuana prohibition, and he figures setting up in the middle of downtown will help to change the minds of passersby. “I don’t see, until it’s legalized, wanting to go to Sunset Beach,” he adds.